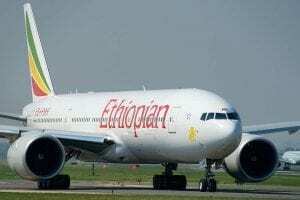 African airlines’ safety has been good for years and is improving. E-scooters are causing harm to pedestrians and riders on a daily basis as they expand services rapidly. Extreme weather reports are hurting ski and snowboard area sales. Many Americans don’t seem to have a good feeling about African airline companies. However, statistically, African airlines are getting better year after year. Many of the fears of riding on African airlines’ planes are disappearing. Global standards such as the IATA Operational Safety Audit (IOSA) are making a difference. Counting all accidents, the performance of African airlines on the IOSA registry was more than twice as good as non-IOSA airlines in the region. A Consumer Reports investigation finds 1,500 e-scooter injuries across the country, and many hospitals still don’t track them. As e-scooters are proliferating so are the injuries they are causing to riders, pedestrians, and bystanders. There are no laws about e-scooters riding on sidewalks or in bike lanes or in traffic. Plus, may users are riding with no head protection or any padding. It is a recipe for personal disaster. “I don’t think anybody in their wildest dreams just expected we were going to have hundreds of these devices deployed, essentially overnight and all over the place,” said Julian Gold, mayor of Beverly Hills, Calif., who is also a medical doctor. Back when I was skiing, a whopper of a snowstorm meant that many ski and snowboarding areas would be crowded. Today, it may mean the opposite as exaggerated conditions make it seem too cold to ski or ride. Sensationalized forecasts from news anchors who appear to hate winter and have zero idea how to dress for it are keeping an increasingly inert population inside. Local stations, they say, seldom report the actual winter temperature any more, relying instead on more dramatic wind chill or “RealFeel” (a method developed by AccuWeather using factors including temperature, wind, humidity and others to describe how it feels outside) figures. Normal winter weather is treated like a crisis. The Vermont Ski Areas Association has begun hosting “weather summits” for meteorologists, lobbying them to frame winter weather positively. Modern clothing is capable of making people comfortable in the worst possible conditions, the resort operators point out, and when time outdoors in any season is being proved to have tremendous health benefits, the last thing we should be doing is discouraging anyone from going outside. …wind chill doesn’t take into account direct sunlight and is typically based on the highest forecasted wind gusts. Most of the time, he says, the wind only achieves its maximum gusts for a few minutes at a time. Plus, wind chill is only capable of estimating the effects of weather on bare skin. Apart from the occasional closing-day bash in the spring, almost no one is skiing around naked. Modern gear like Gore-Tex, goggles, and helmets are well equipped to brush off cold and wind.